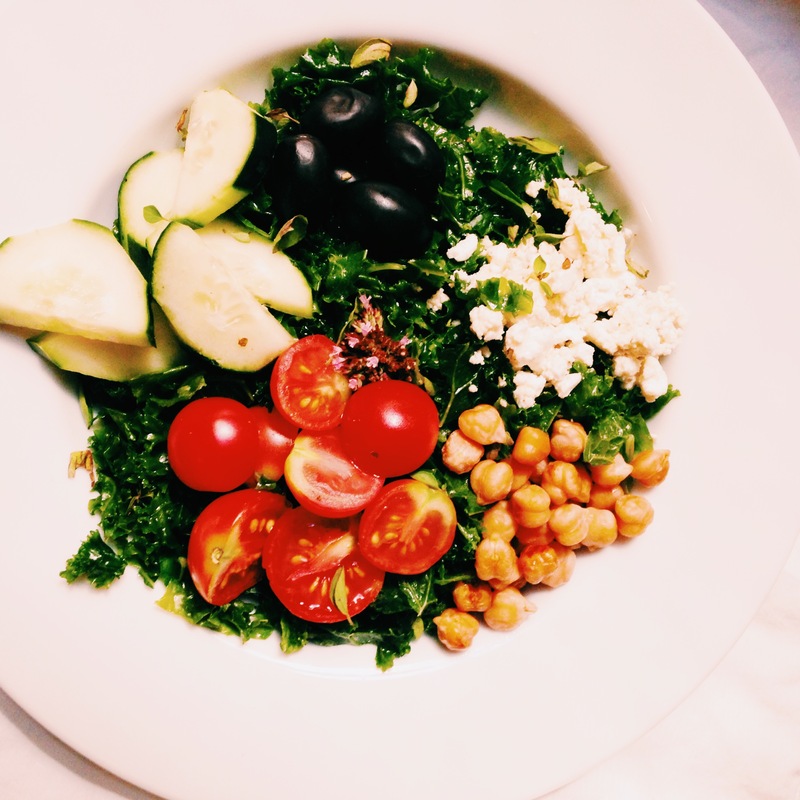 I love a classic Greek salad – so many different textures and the all the salty goodness from olives and feta. If you, like me, have a garden full of kale, or maybe you’re just interested in upping the nutritional content in your salad bowl, you can easily substitute raw or massage kale for the traditional Romain. If you choose to keep the kale raw, just strip the leaves from the stalks, roll them (like a burrito!) and slice them very thinly. 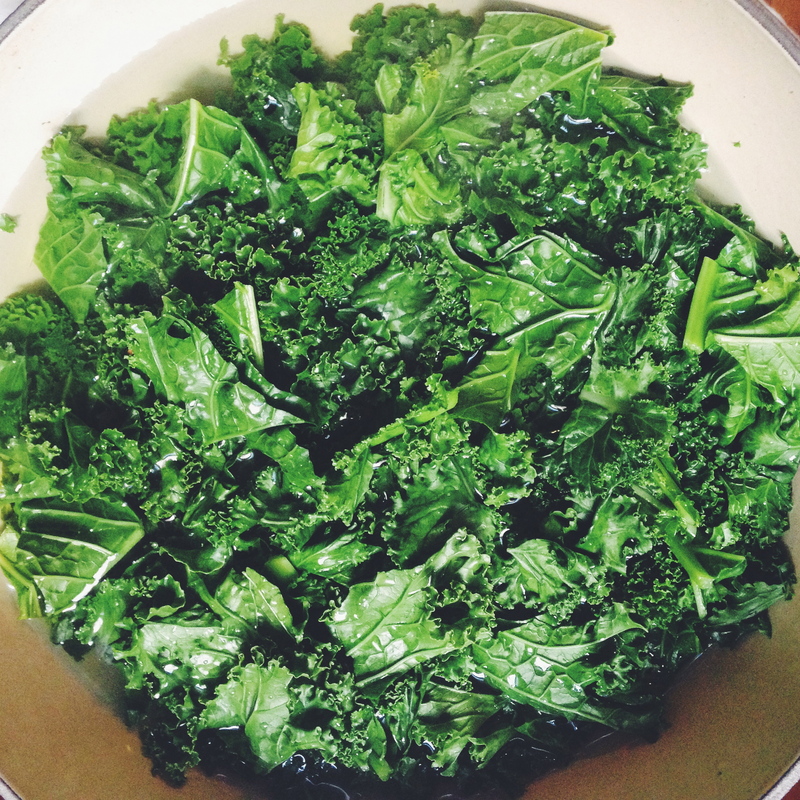 For a slightly softer kale, just add your dressing – olive oil, lemon, and a splash of red wine vinegar along with a pinch of coarse salt to the greens, and massage them with your hands until the leaves turn dark, and soft. If you like, you can toss your individual salad additions with additional dressing, or just leave them as is, put them in the bowl, grind on some black pepper, and enjoy!